We are currently working on a new book about the history and surviving examples of windmills in central and eastern Europe. A major part of which centres on the windmills of Germany. Come back soon for more images of German windmills. 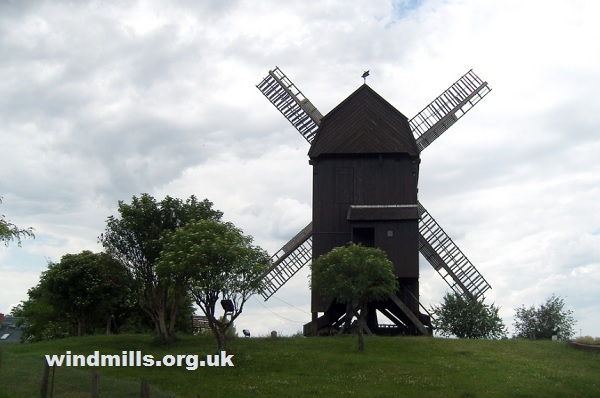 In the meanwhile, have a look at some images from our extensive archive of old photographs of mills in Germany. A great example of a German mill. This one in Muhlenberg, Werder, Brandenburg, Germany.